b720 Fermín Vázquez Arquitectos, founded in conjunction with Ana Bassat in 1997 and headed by Fermín Vázquez, has offices in Barcelona and Madrid. The Encants Barcelona project embodies the characteristic quality and identifiable appeal of b720 designs. This year marks the studio’s 20th anniversary, with works ranging from the Veles e Vent project in collaboration with David Chipperfield Architects (2007, Valencia), Torre Itaim (2017, São Paulo) and Lycée Français (2017, Barcelona) to Hotel VP. Plaza España (2018, Madrid). "b720 has always been more concerned about the recipients of its work than the construction of a discourse or a calligraphy. The basis of the firm’s integrity is its consideration of architecture as a conscious tool—both technical and cultural—that is always at the service of people", says Fermín Vázquez. Over the years, the studio has worked for public and private clients, and consolidated its position on the national and international stage thanks to its acknowledged diligence and innovation. One of the natural consequences of this duality has been its joint collaboration on projects with great international architects such as Toyo Ito, Jean Nouvel and David Chipperfield. This exhibition is a retrospective look at 20 years|20 projects, selected to explain the approach and the working methods of the b720 team. These projects cover multiple scales. The material remains of the studio’s output over the last 20 years are now assembled in the centre of this installation, an evocation of a stall in Barcelona’s Encants market, the centrepiece of the exhibition’s discourse. Fragments of each project have been placed on folding panels arranged around this "market". 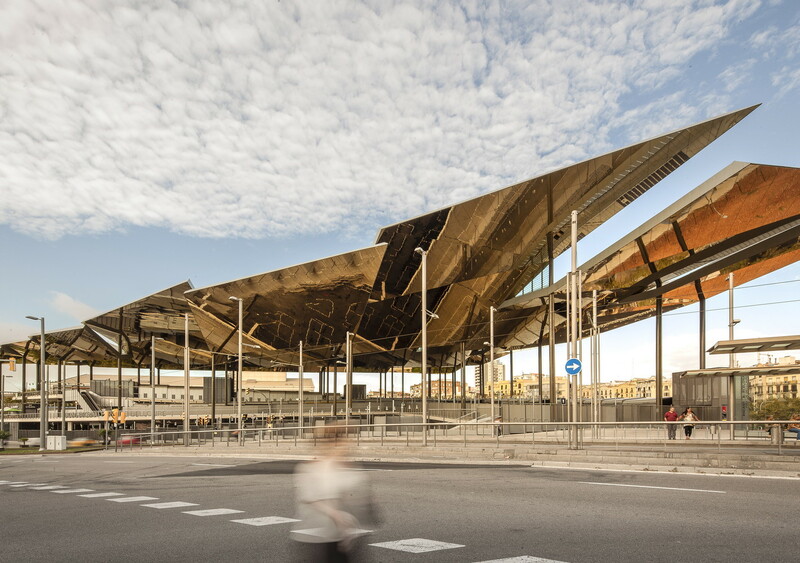 This format inherits the materiality of the Encants Barcelona project, with the striking reflective effect of its gold background, a feature of the Mercat’s iconic canopy. The installation blends with the gallery’s day-to-day activity, inviting visitors to take a look at the work of b720.